Over the past few decades, carbohydrates have gone from highly praised, to the enemy for weight loss. But is this controversial macronutrient really bad for you? For Susan Bowerman, Director, Nutrition Training, Herbalife, perhaps they are just misunderstood! Those on a low or no-carb diet will often steer clear of the most well-known sources such as bread, pasta and potatoes, but did you know that carbs are hiding in lots of other foods too? As Susan explains, “Lots of foods supply carbohydrates, which is good because carbs are what your body relies on for fuel." However, Susan is quick to point out that all carbohydrates are not equal. 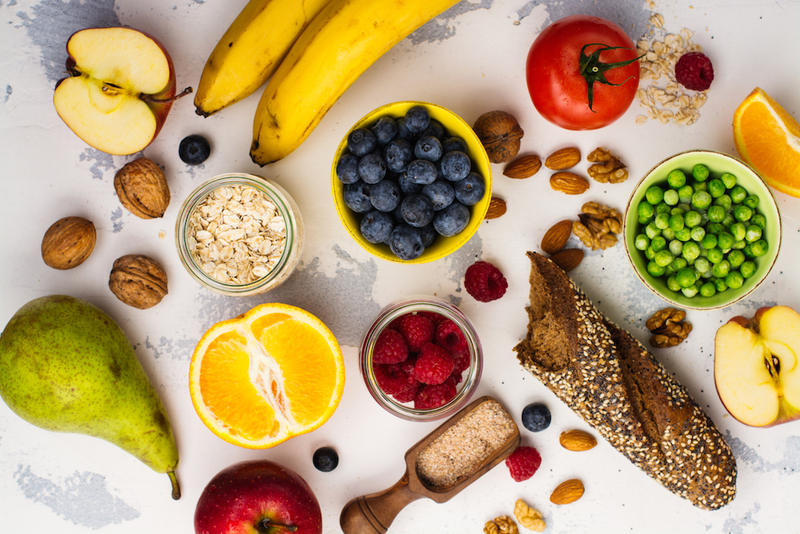 Explaining that the least processed carbohydrates are the most beneficial, she lists fruits, vegetables, beans and whole grains as the best options to choose. “In addition to carbohydrates, these foods deliver vitamins and minerals," she says. The carbs to avoid are highly processed and refined; found in pastries, biscuits, white pasta & white flour breads, along with some savoury foods such as pizzas to name just a few. “These have little to offer the body other than calories," says Susan. "So it makes sense to meet our carb needs from healthier sources, since many other nutrients are part of the package." Many people are unaware that fibre is a type of carbohydrate, and is considered one of the most important dietary factor1. Found in foods such as fruits, vegetables and grains, fibre plays a big part in your bowel making it function at a normal rate. Try Herbalife Oat Apple Fibre Drink; it’s a healthy, calorie-controlled choice that provides 5g fibre per serving. Even better? It’s great-tasting and sugar-free! Looking to lose weight and increase your fibre intake? Replace 2 meals per day with your favourite Formula 1 shake*, plus 1 daily serving of Oat Apple Fibre Drink to help increase your daily fibre intake. Finish the day with a healthy, balanced meal. Results come best from an 80% nutrition and 20% exercise plan, so why not try out some of Samantha Clayton’s body-sculpting moves? **For weight control: Substituting two meals with meal replacements as part of an energy restricted diet, contributes to weight loss. Replace two meals per day with a delicious F1 shake and eat one nutritious meal.